EDITED REPOST! NOW WITH ILLUSTRATIONS! As last year, one of our big projects in 2nd grade is researching and writing informatively about "special places," which I link with our geography objectives by narrowing (or broadening!) to habitats or ecosystems. This year our information brochures covered forests, both temperate and rain, grasslands and coral reefs. To close our project, we read selections from Forest Has a Song by Amy Ludwig Vanderwater, Rejoice! by Mendon Center Elementary 3rd Grade and Water Sings Blue by Kate Coombs to inform and inspire our habitat poems. As always, I know that our Poetry Friday and Writing Workshop have been effective when just about all my 7- or 8-year-olds can strike out on their own poetry paths, making empowered decisions about what and how to express their learning in poetic form. Enjoy! This week's Poetry Friday round-up is a veritable blizzard of opportunity with Carol at Beyond Literacy Link. Flurry on over to join in. Um, yeah. WOW! Not only are these young people stringing words together in beautiful word pictures but they are playing with form in a seriously impressive way. Please let them know how much I admire their willingness to share these poems here. I have learned from them! Today, I will keep my eyes open for deer, porcupine, mongoose, lion, anaconda (yikes),zebras, elephants and more. A wonderful post, Heidi. I'm so glad these kids are our future! I'm wowwed! "Rainforest is Sea" really struck me, and I love the use of space and shape in the poems. Great details and creativity. What a collection of amazing poems! I see similes, metaphors, alliteration, intentional line breaks, and creativity GALORE. I especially like "The Tree Men." Wonderful! Activities like this are proof that there is hope for this planet, that the next generation is full of intelligent, creative young people who are so full of love for the special places in our natural world. Wowza! Are you sure these are 2nd graders? What an impressive bunch of poems, so varied and full of poetic elements. You have every right to be proud. Beautiful to read and imagine how much they learned about rainforests and coral reefs, those different and wonderful things nature gives us. I read 'wonder' in the poems, Heidi. Thanks for sharing that 2nd graders can write poetry! Wow, indeed! These students have learned so much--fascinating information and so many craft moves to express themselves. Thank you for sharing! What a report card on you, Heidi! I love their use of action words and precision. Adorable. I love those tree men, with the picture. 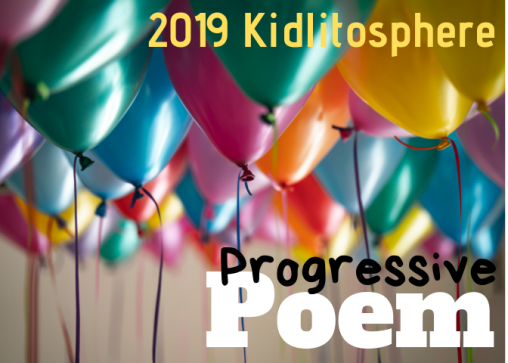 Fun and lively collection of critter inspired poetry by your students Heidi, thanks for sharing them! Wow. Those are wonderful. Good for all of you. What incredible bonding. Love x 2. I'm especially taken with Eric's pencil drawing, Elena's anaconda and Patrick's Tree. So much kid in these the seeds to some pretty terrific adults. These are so great. What a wonderful teacher you are! These are so amazing! I would love to meet your little poets. They have a sense of line breaks and spaces and word choice and all that goes into a good poem. The illustrations are great, too. Wowza! Look out for those shark teeth and sharp animals. YIKES! How fabulously delicious are these poems? Bravo to your uber talented students. Love, love, love! You have a group of amazing poets, Heidi! I am greatly inspired from this post and your students' work as I begin planning my animal research project with my kinders. This will be a bookmarked post to return to for sure! Bravo! Bravo! (Throws flowers by the score...) Congrats to these talented creators and to their awesome teacher, too. Thanks for sharing! Heidi, your young researchers did an amazing job of creating hand-illustrated image poems. They used their imagination and word play skills to create vibrant, highly visual poems that are a delight. If the children have poems about their habitat in winter, I would love to have them showcase their work at my upcoming Winter Wonderland Gallery. Thanks for sharing #stuvoice. Love how well your students took what they learned and re-imagined new ways of telling it...great use of imagery and form for these kids! What a wonderful gallery! Kudos to all the budding poets and artists. These are delightful! I can tell I used to teach middle school by my favorite--bats eat fruit and bats poop seeds! What a rich collection of art and poems Heidi. These poems remind me of Douglas Florian's book of art and poetry "in the swim," I think some of your students would really enjoy it. Thanks for sharing them with us! These are wonderful. We are working on some owl research and will use this as an inspiration for our writing pieces!